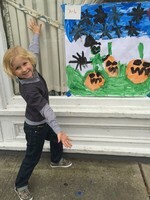 The Steiner kids participated in the Annual Halloween Painting Contest sponsored by the Cornwall Lions Club. 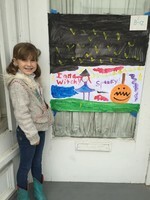 Colin Steiner won 1st place for kindergartners and Sadie Steiner won 2nd place for 2nd graders. Photo courtesy of Caimien Steiner.